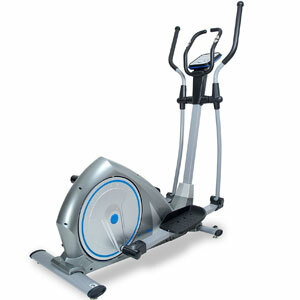 Does The Bodymax E60 Elliptical Cross Trainer Provide A High Quality At-Home Workout? 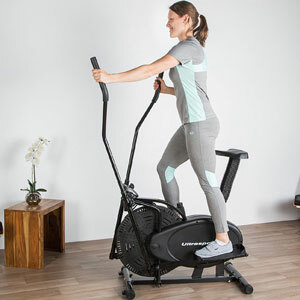 The Bodymax E60 Elliptical Home Exercise Cross Trainer is one of those cardio machines that initially looks like a gym-standard model – by design at least – for an at-home setting. This is a good looking machine with some nice curves and a silver colour, and there are plenty of appealing points to the specification. 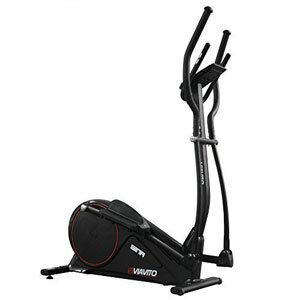 It has a 10kg, flywheel, 120kg user weight, transport wheels and a series of programmes to take advantage of. Is this another model that balances along that fine line between everyday and professional, or are there some key disadvantages? The first benefit here is the quality of the workout. There are plenty of users that are able to achieve a good session for their fitness needs thanks to the design and programming. There are 15 programmes in total for a range of methods and the choice to have the handlebars in either a fixed position or in motion. Each program comes in 20 minute instalments which should be just enough for a daily session of cardio. There is also the chance to hook up a heart rate monitor for improved data tracking. 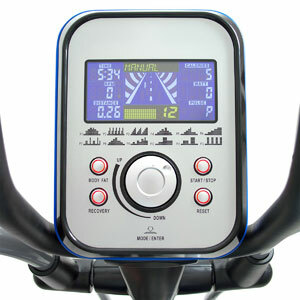 There are also plenty of comments online about the ease of use with this Bodymax cross trainer machine. There are a couple that struggle with the computer and settings because they are unfamiliar with these types of machines. However, there are also plenty of issues that have no problem setting up the idea session. 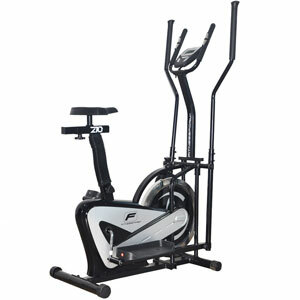 Are there any major issues with this Bodymax E60 Elliptical Cross Trainer that buyers need to be aware of? Unfortunately, there is one issue repeated among the user reviewers for this elliptical trainer. That is the fact that it produces too much noise. The motors and other electronic parts aren’t too bad, but the physical components have a tendency to creak and squeak a little. This is annoying for all those that want to ramp up the speed and intensity. There is also a “sway” to the console. This suggests that the Bodymax E60 isn’t quite as well made as the design suggests, or perhaps all of these users make the same mistakes with the assembly process. The latter would be surprising as many say that the assembly instructions are actually pretty good. 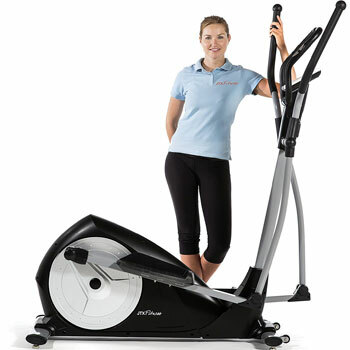 Summary: how does this all affect a final verdict on this Bodymax Elliptical Training System? It is interesting to note just how many people award this machine with the full five stars, even after these issues with the build and noises. Some are happy to buy an additional matt, put up with any squeaking and swaying and keep riding in order to gain the benefits of the workout. In the end, this may not be the most robust machine around but the Bodymax cross trainer still offers that ease of use, style and functionality that the everyday user needs. Find out what other people are saying about the Bodymax E60 Elliptical Home Exercise Cross Trainer on Amazon here.